Customer loyalty programs are a boon for retailers and ecommerce merchants looking to maximize customer engagement and retention. However, a loyalty rewards program is only as good as the number of customers who’re actively using and engaging with it. Launching a customer loyalty program is easy but promoting it is where most businesses go wrong. The loyalty program should be promoted aggressively and integrated into every facet of your business to reap maximum benefits from the rewards program. You must promote the loyalty program vigorously to derive maximum benefit. If customers don’t know about the program, even a well-designed program will not be successful. The website and email campaigns are the two primary channels for creating awareness about the program online. If you have an offline presence, there should be pop-up banners in visible areas of the store especially near the entrance announcing the rewards program. Table top banners should be placed at checkout counters. The customers that land on your site should immediately know that there is a loyalty program that they can take advantage of. They should have easy navigation links to enroll into the program. Create a landing page on your website which explains the program - how to earn points/ redeem points, tier structure, and other terms and conditions. 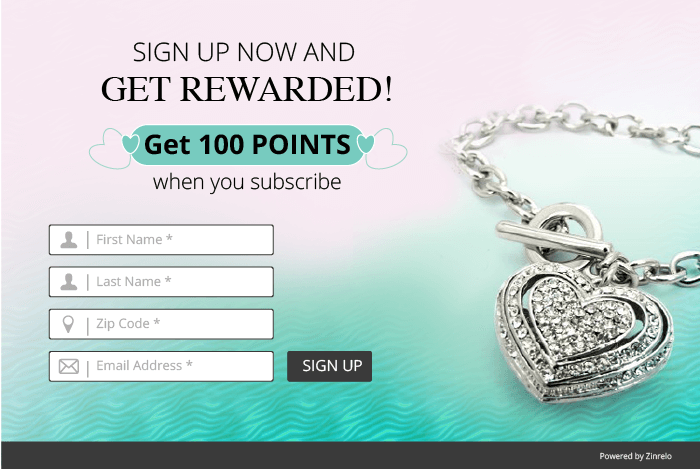 Your website header is a high visibility area and the loyalty program should feature here. You can direct customers to the Rewards Landing Page depending on their authentication status. 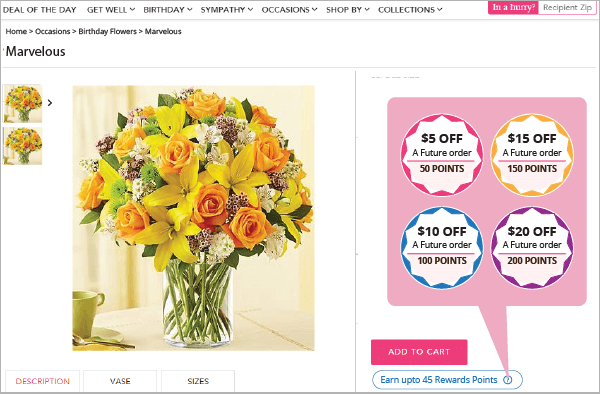 Add contextual descriptions wherever customers can earn points on your website. 1. Product page call-out for points that can be earned on purchasing the product along with an expandable tool tip which shows what the points are worth. Messages delivered at the right time are very effective in driving engagement with the loyalty program. Zinrelo offers in-built notifications that are displayed whenever customers earn points. These should be enabled on the website. Email is an effective medium to reach a large audience and create awareness about the loyalty program. An email series is more effective than a single email in getting customers enrolled in the program. 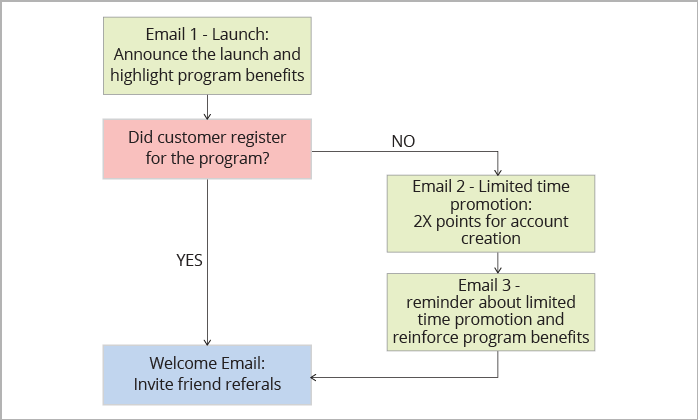 If you are using a marketing automation tool, you could set up an email campaign as outlined in the diagram below. The best way to create interest in the program is to tell customers that they already have points which they can redeem for rewards. You can award points for purchases made in the 90 days prior to launch and notify all the customers about the points they have. Simply including a loyalty program banner in your transactional emails like order confirmation emails and shipping confirmation emails. The loyalty program touches every business function. Sales teams can plan promotions around the loyalty program, customer support teams should know the program rules to address customer questions, cashiers at your POS should be trained as well, accounting teams will have to track the liability of outstanding points, marketing teams can use the insights from customer data to plan their campaigns, product teams can seek customer feedback by offering incentives through the program. When the loyalty program becomes a company wide initiative, you are likely to get more ideas for taking advantage of the program. 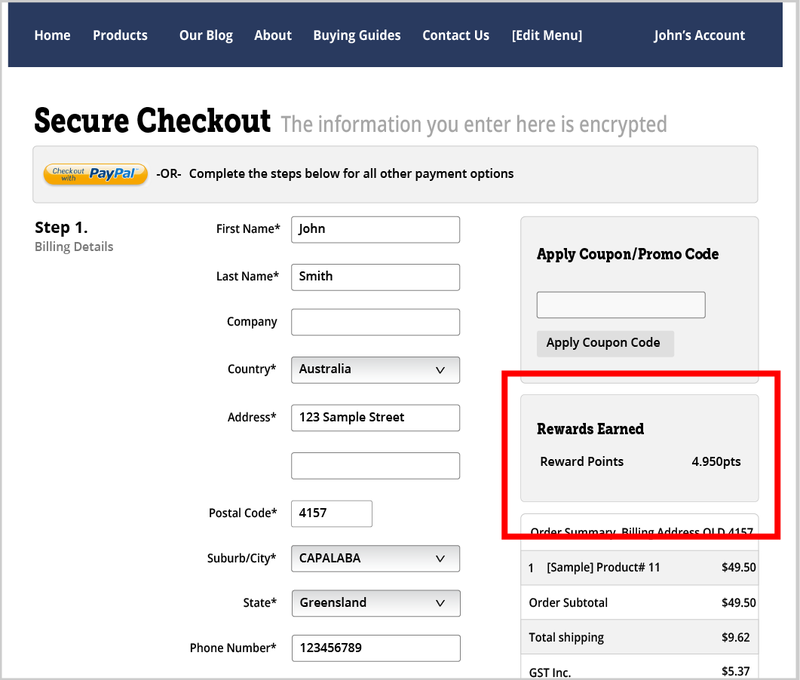 Many websites display the customer name in the header / my account section when the user is signed in. 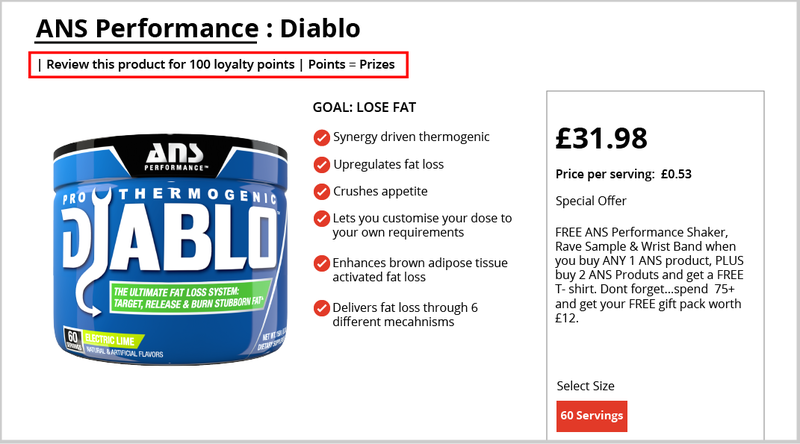 Adding the customer’s available points next to the name is a good way to promote the program. Enrolled members are already aware of the program. Promoting the program to enrolled customers is a great way to reengage inactive users. This needs a different approach from just creating awareness about the program. You can notify customers when they earn points for any activity, whenever they become eligible for a new reward, when they are close to a reward threshold, when they close to a tier upgrade or when their points are about to expire. Enrolled customers are always looking for ways to earn more points and rewards. Promotional events that offer these opportunities generate a lot of interest. Here are some ideas for the loyalty promotion campaigns. 1. 2X points weekend: Award double points for purchases made during a promotional weekend. 2. Bonus points for select products: Award bonus points for products that you want to push. E.g. “Summer Sale: 3X points on all swimwear purchases”. 3. Bonus points for high-value orders or repeat orders: Such rules may not be exclusive to one campaign but calling it out in a campaign will have a positive impact on your AOV and repeat purchase frequency. In addition to the strategies above, there are various other promotional tactics that can be implemented to drive awareness about your loyalty rewards program amongst your new and existing customers. The ideal way is to experiment with different strategies and see what works best for your business. Samir Palnitkar is the Founder of Zinrelo, a technology company that specializes in loyalty rewards programs. He is an expert on building and growing “retention-first” businesses. He frequently writes on customer retention, loyalty and rewards programs.